The example of Mary of Egypt should not confuse us by its remoteness in time from our own era, for man throughout his entire history has possessed mind, and will, and feelings, and passions, and has experienced temptations. 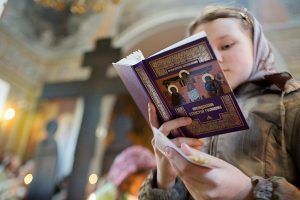 Your Eminences and Graces, Reverend Fathers, dear brothers and sisters! I cordially greet you all on the fifth Sunday of Great Lent. On this day we commemorate the memory of St. Mary of Egypt, that great ascetic whose example helps us understand how, from the abyss of sin, one can, by God’s mercy and grace, attain not only forgiveness and remission of sins, but also the very highest degree of holiness, entering during this earthly life into the Divine life. 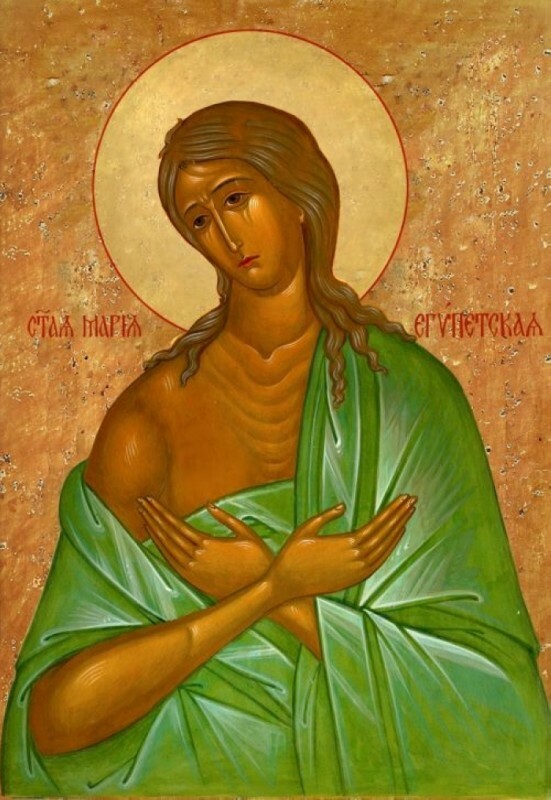 The example of Mary of Egypt should not confuse us by its remoteness in time from our own era, for man throughout his entire history has possessed mind, and will, and feelings, and passions, and has experienced temptations. Everything that takes place in the world is related to the external arrangement of life, but none of this has changed man’s nature; therefore Mary of Egypt should remain for us a living example, and to the best of our powers and abilities we should try to apply to ourselves this image of repentance and renunciation of sin. And if we were able to realize in our own lives at least a thousandth part of what this saint accomplished, we would feel the touch of great Divine power. A lion approached Mary of Egypt but did not touch her, just as a bear did not touch Seraphim of Sarov, because where there is the grace and power of God, all danger recedes; every danger recedes when man, having acquired this grace, becomes very strong and capable of overcoming even the laws of physical nature. 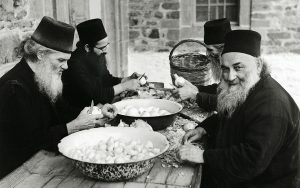 Let this wondrous example of the holy ascetic in our restless time help everyone to realize the eternal and abiding significance of the Divine commandments, realizing that it is the following of God’s law and God’s commandments that leads us to God, and through this gives us great power for this temporal life and the ability and opportunity to acquire eternal life. March 21, 2010. Cathedral of Christ the Savior in Moscow.